Wisconsin is known for its cheese, football, brats, and cheese. But more importantly, it's known for its beer and Wisconsin's beer is Leinenkugel's. Leinenkugel's has been fueled by a distinctly Badger State "can-brew" spirit since back when craft beer was just called "beer". During its 144-year history, Leinie's has produced a medley of seasonal varieties and perfected their current line-up of seven year-round beers, like Honey Weiss. Made with a touch of real Wisconsin honey and served with a lemon wedge, Leinie's Honey Weiss is deliciously refreshing. Head to the Leinie Lodge in Chippewa Falls and visit the brewery, enjoy free daily tours and learn how malt and hops are melded into the liquid perfection that is Leinenkugel's. 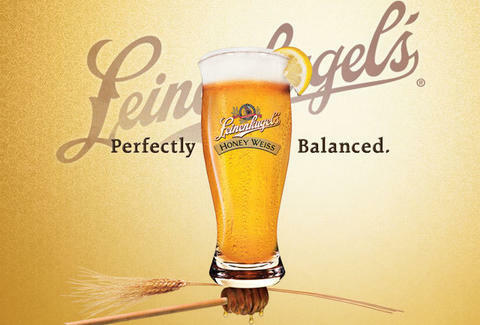 ©2011 Jacob Leinenkugel Brewing Co., LLC, Chippewa Falls, WI. Please enjoy Leinie's responsibly.